The Sharpmonkeys Christmas do was one to remember. We all wrapped up warm and headed out to Much Marcle in Hereford for the Westons Cider Mill Tour. Upon arrival, we ventured into the Orchard tea room and enjoyed coffees and teas while waiting for our tour to begin. The tearoom was filled with hundreds of old and new cider bottles that brought back a few memories for us and certainly passed the time. 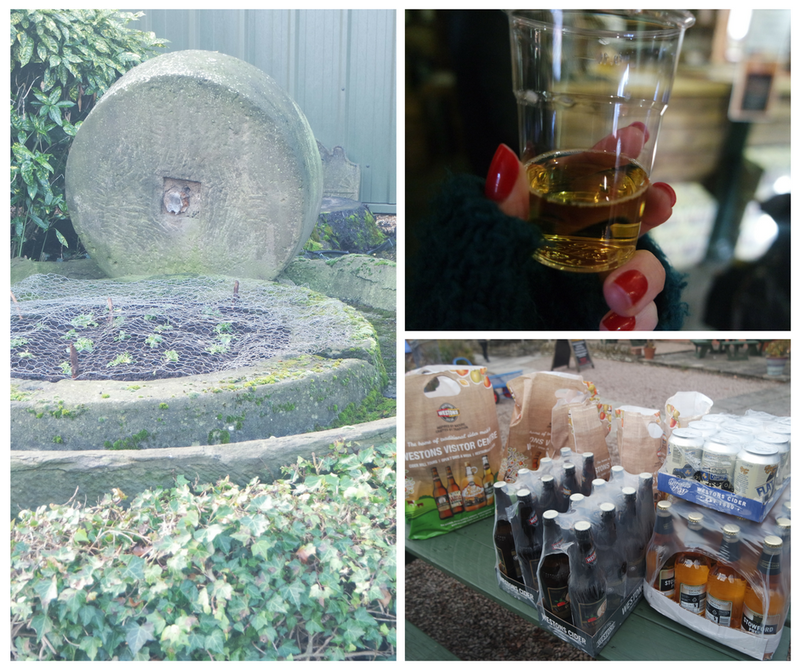 Our tour began at 11am and we were taken around the front of the property and given in insight into the history of the Weston’s family and how Henry transformed his Hereford Cattle farm into the successful cider mill we know and love. 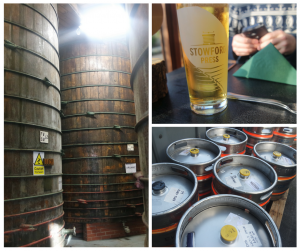 We were shown the old and new equipment and talked through how the apples are farmed, the ciders are made and we watched the bottling process in action. The tour was the perfect length and both informative and interesting. The complete tour took about an hour and involved watching a short DVD and walking around the working mill and looking at the old orchard that is still harvested to this day. Once the tour came to an end we were taken to the shop and given a few samples to try. We were all very impressed with Flat Tire, a rhubarb cider that’s recently been launched. We also tried the classic Stowpress, Henry Westons Black Top and a few more varieties that we requested. Each of us received a gift bag containing four cans of Caple Rd Cider to take home, which we gratefully accepted. 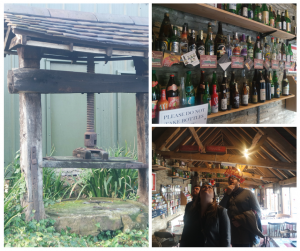 Lunch was served in the delightful Scrumpy House at the front of the property. The food was delicious. Karen and I chose cider baked ham with free range Herefordshire egg and chips. John opted for the fresh fillet of fish in sparkling Stowford Press Cider batter, with peas, chips and a homemade tartare sauce. 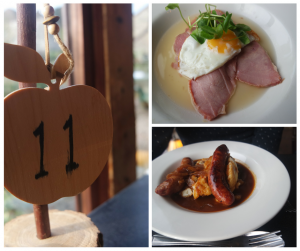 While Tommy went for the classic local pork and cider sausages, with wholegrain mustard mashed potato and a cider and onion gravy. We enjoyed our food and spending time together outside of the office. The trip to Westons ended in the shop where each of us bought a few extra treats to enjoy over the Christmas period. There were plenty of great deals to take advantage of and some lovely gift ideas too. That was the 2016 Sharpmonkeys Christmas do. 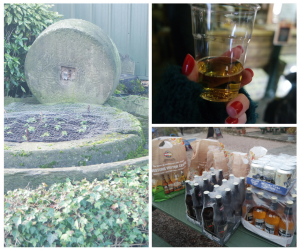 If you’re a fan of cider and would like a lovely day out in the country we highly recommend the Westons cider mill tour and lunch. We’d also like to thank you all for your continued support and we’re looking forward to getting back to work in the New Year.